Final preparations are being made for the April 15th closure of Covert Avenue in the Village of New Hyde Park to allow for construction of the mainline underpass that will eliminate the grade crossing. 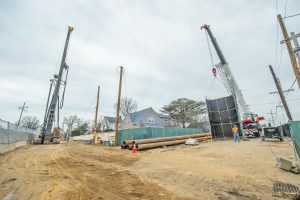 As part of the project, a new railroad bridge, one that can accommodate three tracks (instead of two) will be “rolled in,” and signal system modifications will be made. 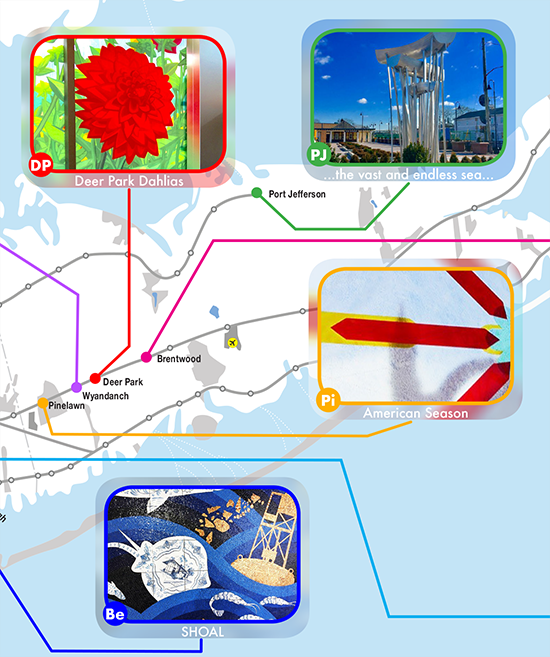 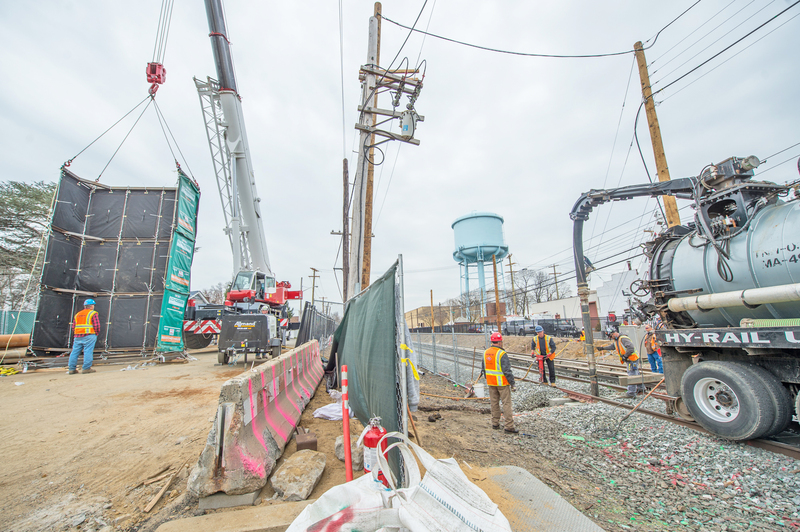 A bridge will also be constructed over 2nd Avenue, spanning the underpass. 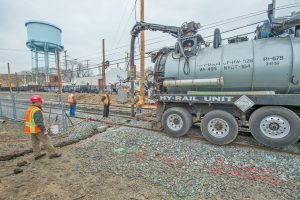 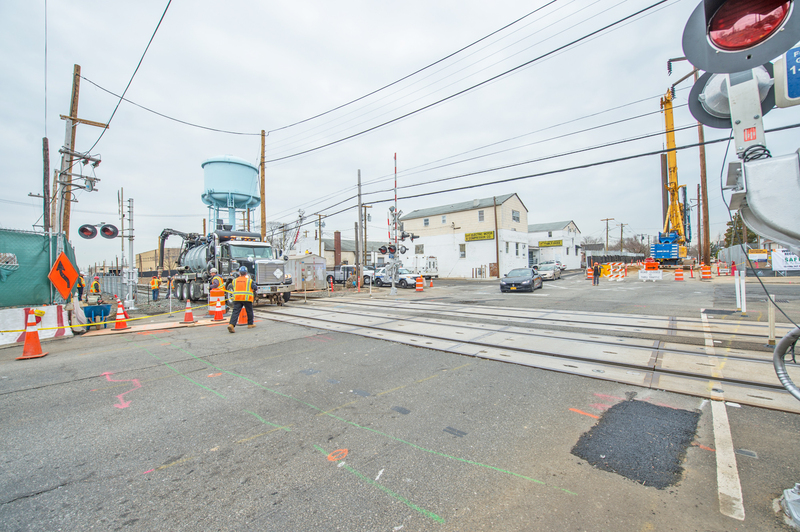 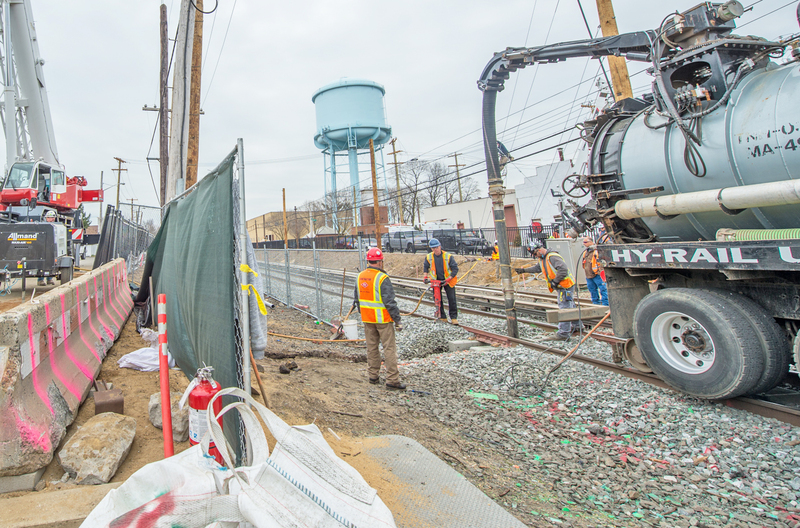 These photos depict the final preparations at the grade crossing prior to its elimination and the installation of noise shrouds to reduce the impact of construction on the surrounding community. Project Ambassadors have been out in force to inform the community of what they can expect during construction and to address concerns. 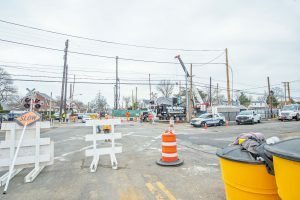 The project is expected to be completed and the roadway reopened to traffic by the end of 2019. For more information please visit the Covert Avenue Grade Crossing Elimination project page on AModernLI.com – http://www.amodernli.com/project/covert-avenue-grade-crossing-elimination/.